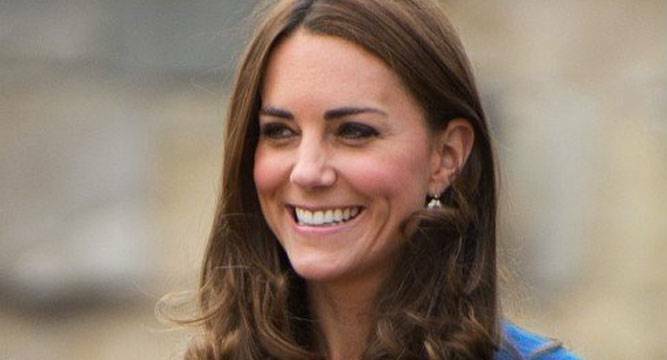 Prince William’s wife Kate Middleton today turned guest editor for the UK edition of The Huffington Post to tackle the stigma associated with the “heart-breaking” and “devastating” issues of mental illness among children. The Duchess of Cambridge launched “Young Minds Matter”, a global initiative as part of her role as patron of a number of children’s charities, including Place2Be and Action on Addiction. “For too long we have been embarrassed to admit when our children need emotional or psychiatric help,” she wrote in one her first blog posts for the news website. “Like most parents today, William and I would not hesitate to seek help for our children if they needed it. We hope to encourage George and Charlotte to speak about their feelings, and to give them the tools and sensitivity to be supportive peers to their friends as they get older,” the 34-year-old mother of two said on a more personal note. The royal is carrying out her editorial role from a temporary newsroom set up at the royal couple’s London home of Kensington Palace. In preparation for the day, Kate had already helped to commission a series of articles, blogs and videos from several leading figures in the mental health sector. The issue has been close to her heart since she married the second in line to Britain’s throne in 2011. “I often heard some heart-breaking stories about lives that had been torn apart, with devastating impacts for all involved, particularly children. What I did not expect was to see that time and time again, the issues that led people to addiction and destructive decision making seemed to almost always stem from unresolved childhood challenges,” she writes. The Huffington Post published data showing that one in three parents worry that they will look like a bad mother or father if their child has a mental health problem.